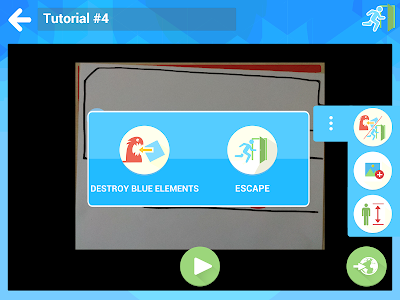 Everybody has one day dreamed of creating his own video game. 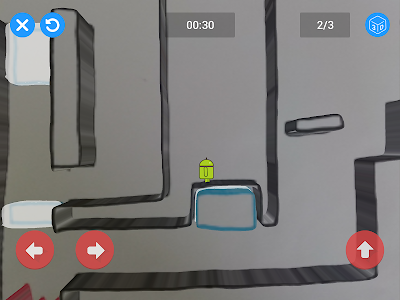 It's now possible with Draw Your Game! 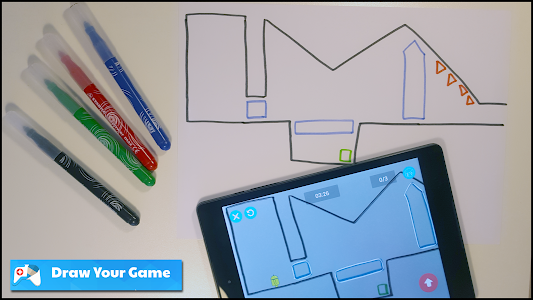 All you need is paper, pens, and our app! It's super easy! 1. 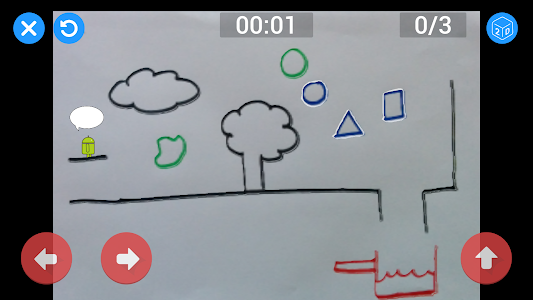 Draw your own game's world on a piece of paper, using black, blue, green and red pens. 5. 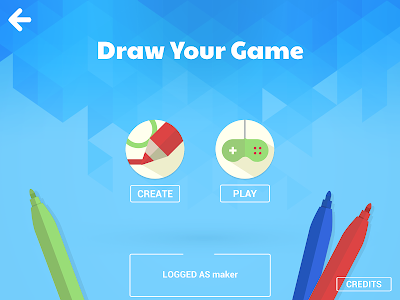 Share your creation with other Draw Your Game players from all around the world. Of course we check them to be sure there's no inappropriate content! 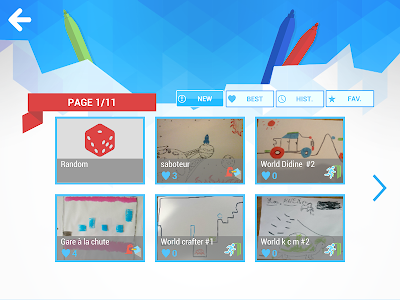 ▶ Create: this is where you build your own world with paper and pens! 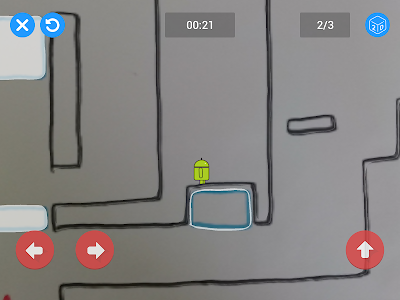 You can also draw inside the game, so you can create on the go. 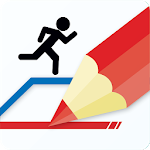 ▶ Destruction: the character must push blue objects into red ones to destroy them. It's not as easy as you may think! 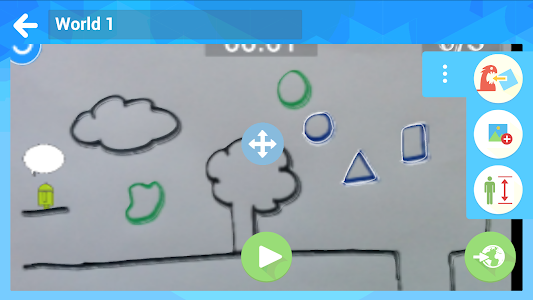 ▶ There is a video ad every 5 minutes. ▶ You can buy the "Full Version" (in-app purchase) to unlock all at once. ▶ A special offer is available for the "Full Version" the first 24h (30%). Our team approves each new world before releasing it to the community, and a rating system is used to rank the top worlds against one another. We spend an epic amount of time to ensure that your children (and ours as well) won't see inappropriate content in the game. Of course, if you think we've missed some things, there are ways inside the game to report us anything you want. We're always amazed by your creations. We validate every level, but if you want to get some love and feedback about your world, share it with us on Twitter (@DrawYourGame) or Facebook! You can also send us your feature suggestions! 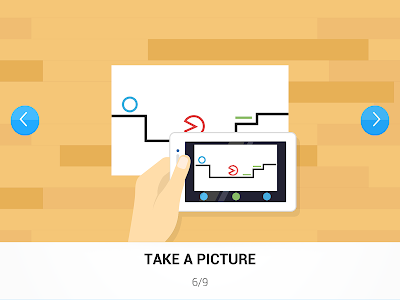 Similar to "Draw Your Game"